Prime minister Ranil Wickremesinghe was sworn in as minister of Law and Order on February 25th 2018. It was a stop gap measure. The premier was only expected to be in charge of the portfolio for two weeks until a new minister was appointed. The fortnightly stint as a”caretaker” minister however has proved to be a terrible ordeal amounting to a baptism of fire for the new Law and order minister. 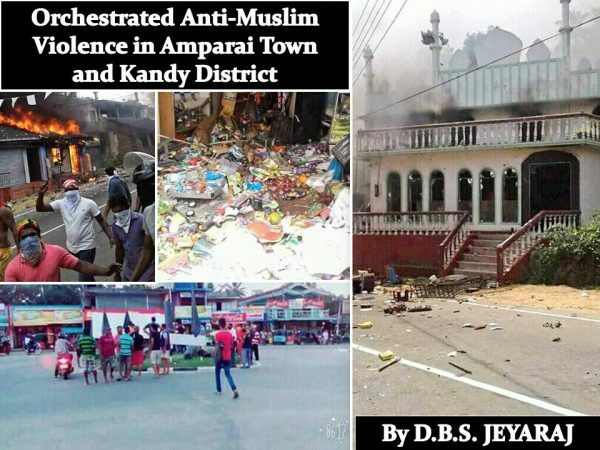 A pre-planned, well co-ordinated campaign of anti-Muslim violence was unleashed in two phases , first in the Amparai town and next in the Kandy district. Politically astute stalwarts of the United National Party(UNP) suspect that the calculated anti-Muslim violence had a multi-pronged objective. Primarily it was intended to test and challenge Wickremesinghe’s capacity to discharge his duties well as a law and order minister. Ranil’s opponents have for long tried to depict him as a weak and ineffective leader incapable of dealing efficiently with threats to the County and/or law and order. The spectre of communal violence rearing its ugly head again would provide an opportunity to demonstrate that Ranil was not a strong leader. Since Wickremesinghe is a contender for the Presidency in 2020, the portrayal of the prime minister as weak would certainly pay dividends to any rival contesting on a platform of “strong man as president”. Apart from this, UNP circles suspect that the orchestrated violence was aimed at placing Wickremesinghe in a tricky situation. If he cracked down hard on the politically motivated criminal elements attacking Muslims, extensive propaganda could be conducted against Wickremesinghe that he had betrayed the Sinhalese. This would further reduce the quantum of Sinhala votes he was likely to receive at the polls.If on the other hand ,Ranil did not check or contain the anti-Muslim violence effectively, he would lose the confidence and faith of the Muslim community. This would have a ripple effect on the other minority ethnicities too and thereby result in an erosion of what is considered to be a safe vote bank for the UNP leader. More importantly and more dangerously the violence and its consequences could have a de-stabilising impact on the Sirisena- Wickremesinghe Govt. The UNP-SLFP coalition government describes itself as a “national unity “govt but there are deep divisions within. It does not appear to be national nor united. President Sirisena and Prime Minister Wickremesinghe are at loggerheads with each other. Sirisena and Wickremesinghe are operating at different wavelengths within one Govt.The UNP and Sri Lanka Freedom Party(SLFP) ministers within the Govt perceive each other as enemies rather than cabinet colleagues bound by collective responsibility. The newly formed Sri Lanka Podu Jana Party(SLPP) has got the better of both the UNP and SLFP and emerged as the leading victor at the local authorities elections. Complicating the situation further is the antipathy towards Wickremesinghe as Prime minister among the President, most SLFP ministers and some UNP Parliamentarians. Moves are afoot to de-throne Ranil as Prime Minister as well as party leader. In the prevailing situation, escalating communal violence under Law and order minister Wickremesinghe could very well turn out to be the tipping point for the regime resulting in rapid de-stabilisation and drastic change. 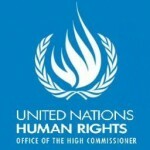 Then there is also the fact that the United Nations Human Rights Council (UNHRC) sessions are scheduled for March in Geneva. The Government of Mahinda Rajapaksa became discredited in the eyes of the world for a number of reasons. One such reason was the encouragement received by hate mongering ethno -religious fascist outfits like the Bodu Bala Sena and the anti -Muslim violence it fomented in places like Aluthgama and Beruwela. The new “Good Governance” Govt was much respected internationally because it has ushered in a climate of ethnic harmony and amity where the minority communities felt safe and secure.The Gintota violence dented this image last year. Now with more large-scale and widespread anti – muslim violence erupting that positive image could be tarnished further. People like rear -admiral(retd) and ex-MP Sarath Weerasekera could argue in Geneva – if they wanted to – that anti – Muslim violence can happen under any Govt and not necessarily the Rajapaksa regime alone. It is against this backdrop therefore that the UNP led Govt viewed the outbreak of anti – Muslim violence in Amparai town followed by Digana and other parts of the Kandy district.There was a distinct pattern in the organized violence directed against innocent Muslim people. The attacking mobs were mainly “strangers” transported from outside places into the targeted areas. Most of them masked their faces. The Mobs were guided by a few locals. Causing loss of life or limb does not seem to have been the priority. The primary objective was to destroy or undermine the economic power of Muslims.Hence Muslim owned businesses, shops,houses and vehicles were specifically targeted. The secondary objective was to deliver a symbolic message or threat to the Muslims practising the Islamic faith. Thus Mosques were attacked. The violence was accompanied by a well -organized hate campaign against Muslims via the social media justifying the attacks on the basis of canards. In comparative terms the violence in Amparai is very much less than the violence perpetrated in the Kandy district. Amparai was a single”operation” restricted to the town while there has been a series of widely distributed acts of violence in Kandy. There is reason to suspect that the original plan was to use Amparai as a launching pad for other areas too like Siyambalanduwa in Moneragala district and continue extending attacks to other areas. However another option presented itself without any pre-planning in the Teldeniya-Digana region when a Sinhala lorry driver died as a result of an assault by intoxicated Muslim youths. This was seen as an ideal opportunity as it could be projected that enraged Sinhala people were spontaneously rising up against Muslims with “righteous anger” to retaliate for the death of an innocent Sinhala person. Two noted exponents of “Saffron Terror” Galagoda Aththe Gnanasara Thero and Ampitiya Sumanarathne Thero visited the dead driver Kumarasiri’s home , paid their respects to the departed soul and “left”. Lo and Behold! The floodgates were opened for wave after wave of anti-Muslim violence thereafter. At the outset I would like to emphasise two points. The first point is that most media reports particularly those by foreign media outlets have been referring to the violence as race riots between Sinhalese and Muslims or religious riots between Buddhists and those professing the Islamic faith. The prevailing reality however is that the current violence is not a clash between two groups.It is a case of large mobs of Sinhalese attacking property belonging to Muslim individuals and families. The violence is committed overwhelmingly by one side and vannot be called clashes. The limited counter violence in self-defence has been only in a few instances where Muslim youths bunched together to protect their families,properties and above all their places of worship. The second point is about the wrong impression conveyed or sought to be conveyed by certain elements that the violence is an all -out ethnic war in which the “majority” Sinhalese have totally turned against the “minority” Muslims. Though some racists would like to project that image of the current violence,it simply is not true. Only a microscopic minority of the majority community are engaging in violence against a minority. The Sinhala people at large are against this violence and want no part of it. There may be some who sanction it by their silence even if they take no part in it. But most people keep silent not because they approve of the carnage but because they dare not speak out against it due to fear of consequences both real and imaginary. If the majority of the Sinhalese turn against the minorities on a genocidal spree, very few Muslims or Tamils would be left to tell the tale. Initially the Govt seemed to have been taken by surprise and responded in pitiful fashion leaving much to be desired. The Sirisena – Wickremesinghe divide has placed the Govt and its ministers in an unenviable position.Instead of forging an adequate response to the continuing violence the govt ministers acted in a confused incoherent manner. Some condemned the violence and appealed for calm through facebook and twitter instead of taking concrete action.After some initial lethargy, lack of decisiveness and dilly-dallying, the Sirisena-Wickremesinghe Govt buckled down to its imperative task of combatting communal violence. An emergency was declared and curfews were in force in violence -prone areas. The army has been deployed and is coordinating with the Police and Special Task Force (STF). In an extraordinary measure restrictions have been placed on some social media and telephone applications to prevent the spreading of hate and promotion of violence. Initially there were instances of Police,STF and even a few soldiers colluding with the mobs or simply remaining indifferent without trying to check the violent elements. Subsequently the situation improved. Police fired on rampaging mobs on one occasion to convey a strong signal. Over 140 alleged perpetrators of violence have been arrested. These include the “Mahason Balakaya”leaderAmith Weerasinghe and his deputy Sureda Suraweera. The Mahason Balakaya had been conducting a hate campaign against Muslims and inciting violence. Amith Weerasinghe is the alleged mastermind directing and coordinating the current campaign of anti-Muslim violence. Interestingly enough both Weerasinghe and Suraweera were arrested by the Police Terrorism Investigation Division (TID) in two separate pre-dawn raids in Digana and Poojapitiya respectively. In a separate development Public Administration minister and Moneragala district MP Ranjith Madduma Bandara was appointed as the new minister of Law and Order. 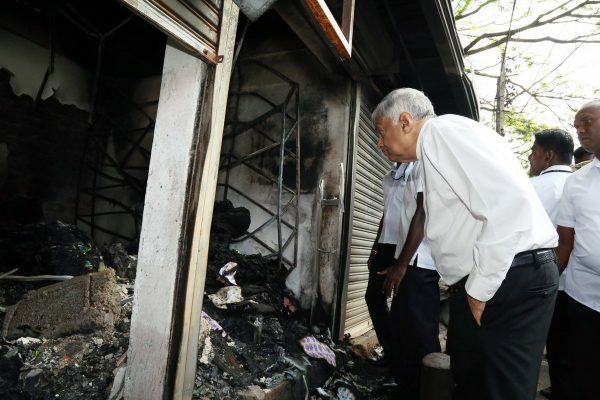 Ranil Wickremesinghe ceased to be Law and order minister after just eleven days.The anti – Muslim violence is gradually subsiding though it had not completely ended at the time this column was being written. By all accounts however it seems that the shower has ended with only a slight drizzle remaining. What remains to be seen is how the Government will deal with the arrested persons and for how long it will maintain the arrangements necessary to preserve peace and prevent the recurrence of violence. The ethno -political environment in the country is quite fragile and there are a lot of vested interests waiting eagerly to exploit the situation. Eternal vigilance is needed to counter the potential threat. As stated earlier this year’s anti-Muslim violence erupted first in Amparai town and was followed by violence in Digana.Thereafter it spread to other areas in Kandy district like Teldeniya, Pallekalle, Katugastota and Akurana etc. The damage in Amparai is very much less when compared to the destruction in Kandy. In Amparai one mosque and adjacent structures , Three Muslim owned hotels, one grocery store and eight vehicles were attacked and damaged. A few Muslim dwellings were stoned but no families were harmed as most had taken shelter in neighbouring homes or fled to shrub jungle areas. All this happened within a few hours on one night in Aparai. In Kandy the situation was different. Although the quantitative nature of the anti-Muslim violence was greater in the Kandy district the Amparai violence was qualitatively more dangerous. The scope and scale of violence in Kandy was greater, lengthier and more widespread than that of Amparai. In Kandy the death of the Lorry driver was used as the pretext for launching violence. In Amparai the reason cited as cause for the violence was hilarious but had the potential of being very , very dangerous. It was alleged in Amparai that a Muslim run eatery was mixing contraceptives and sterilising drugs in food served to Sinhala customers. Consuming them would affect sperm in man and render them impotent. It would also affect wombs in women and prevent conception.The implication was that a Muslim conspiracy had been hatched to reduce the birth rate of the Sinhala people and convert them into a minority by diminishing their numbers. The accusation is absurd and ridiculous as scientifically or medically it is not possible to prevent “babies forming in wombs” through administering contraceptive drugs in food particularly in Kothu roti or meat curry. It is not possible to weaken sperm by any drug mixing as any drug of that type would lose potency while being heated to a high level on a stove or cooker. Yet this is what was alleged and propagated to trigger off and later justify the Amparai violence.Sadly quite a number of people believed the blatant lie. The danger is that had this canard been believed by large numbers of Sinhalese (They did not) it would have enabled the hatemongers to target all Muslim hotels and eateries in defence of the Sinhala nation. The Amparai attacks therefore assume a great degree of importance. A powerful propaganda campaign against Muslims in general and Amparai Muslims in particular was launched in the aftemath of the Amparai violence. 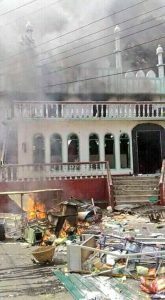 The attack was justified on the basis that the Muslims were trying to destroy the “Sinhala Jathiya” through “Wanda Pethi”.On February 28th Muslim businesses in Siyambalanduwa in adjacent Moneragala district were the targets of a threat campaign. They were warned that what befell the Muslims of Amparai would happen to them too. Most Muslim businessmen closed their establishments early and vacated Siyambalanduwa though most have now returned. 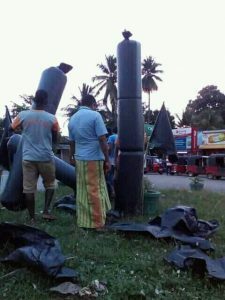 It must be noted that in spite of Muslims being targeted in Amparai on the pretext of “Wanda Pethi” most Sinhalese in Amparai did not believe the accusation. In fact quite a number of Sinhalese in Amparai provided refuge to the frightened Muslim families in town. Though there were few takers for the Wanda Pethi canard among the Sinhala people of Amparai , there were many Sinhalese outside Ampara who purportedly believed it. This includes some people living in Western countries too. However the Govt analyst A. Weliyange has nailed that canard conclusively. After examining the ” stuff ” suspected of being “Wanda Pethi” the Govt analyst has ruled that the alleged contraceptive drugs were merely Particles of flour scientifically described as ‘Carbohydrates”. So all that violence including the attack on a Mosque was over flour particles! What a tragicomedy!! As I have observed frequently those of us who love Sri Lanka and yearn for peace and happiness in the Island need pieces of good and positive news at times to restore our sagging morale and lift up our downcast spirits. We need silver linings in the dark clouds;we need whiffs of sweet fragrance to eliminate the stinking odour;we need gusts of cooling breeze to reduce the effects of oppressive heat. In the context of violence perpetrated by hatemongers against a minority community, we require some positive input to show us that all is not lost. We need some proof at least to re-iterate our faith in the inherent goodness of most human beings. We need to know that while inhumanity is displayed by some humans to other humans, there are some humans who show love and amity to their fellow humans at great risk to their lives too. There were many positive acts by ordinary people during the raging violence. So many people mainly Sinhala but some Tamils too gave shelter and protection to their besieged Muslim neighbours and friends. This happened in Amparai and Kandy. In most cases the threatened people were kept hidden in homes. There were many instances of Sinhala people standing up to the mobs and refusing to let them go on the rampage in their vicinity. There were instances of Sinhala families keeping the vehicles belonging to Muslims in their premises and refusing to let the mobs torch them. Likewise some people occupied houses owned by Muslims and turned the mobs away saying the house belonged to them. The finest example of them all to my knowledge was the action of a young Buddhist monk and some Sinhala students. They slept in the beleaguered Muruttalawa mosque along with their Muslim brethren and turned away marauding mobs not once, not twice but thrice. These instances are but a few lamps glowing in an overarching canopy of darkness.These together cannot dispel the overwhelming darkness. Yet they demonstrate that what the hatemongers and neo-fascists say is not true. It also shows that humanity has not deserted the Island lauded as the “Dhammdeepa”. The future of this resplendent island lies not in the hands of the promoters of hate and perpetrators of violence.It lies in the hands of ordinary people such as these who rise up boldly to face up to extraordinary situations with compassion and courage. These are people who do what is right and do not show fright before might. And as the angel wrote about Abou Ben Adhem in James Henry Leigh Hunt’s poem “May their tribe increase”in Sri Lanka.